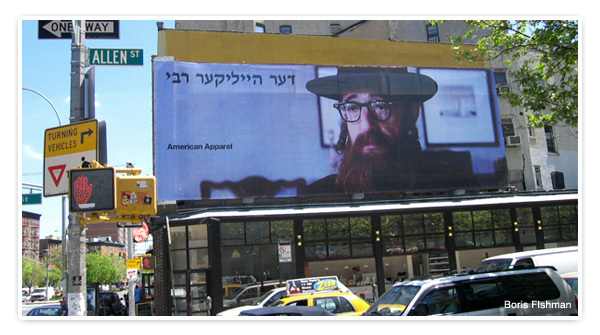 Lest anyone wonder exactly how Woody Allen dressed as a rabbi relates to a clothing company better known for its sexually provocative images and the alleged sexual behavior of its founder, the Forward last year contacted American Apparel to ask. The response? "Woody Allen is our spiritual leader." But of course. And like all good spiritual leaders, he's just reminding the faithful to tithe. On another note, it's interesting that while among young female celebrities a fashion label is the sideline du jour, and many even claim to have created their own designs, the boldest of boldfaced guys are being dragged unwillingly into the fashion fray. Last week the "GC Exclusive by George Clooney" hoax, this week Woody Allen's faux endorsement. Who's next? 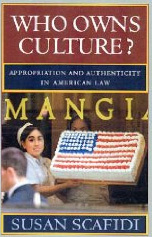 Many thanks to my Fordham law student Marissa Tillem for the tip!